Jobs and positions for Registered Florida Pharmacy Technicians are currently on the rise throughout the Orlando and Central Florida metropolitan area. Licensed and certified pharmacy technicians are currently in demand due to the immense population explosion that is occurring in the Orlando area. With Orlando being the second fastest growing city in the US according to Forbes Magazine, job opportunities for professionals are rising exponentially. In addition is the fact that new statistics have shown that in 2016 Orlando actually grew faster than any of the 30 largest metropolitan areas in the nation. More pharmacies have been started and opened in Orlando and its surrounding communities than ever before, resulting in an expanding job market. According to the Forbes article, not only will the population growth in Orlando during 2017 actually exceed the growth seen in 2016, but the projected job growth in 2017 is estimated to exceed 3.5%. Additionally, the projected GMP growth in Central Florida will increase to over 6% in 2017 (as compared to slightly less than 4% in 2016). Lastly, with a projected salary and wage increase of an estimated 8.2%, Orlando and the Central Florida metropolitan area will become the #1 fastest growing city in the nation by 2018. It is estimated that almost 25% or one-quarter of the nearly 4,000 pharmacies in Florida are located in the Central Florida metropolitan and surrounding areas. Central Florida is also known as the Orlando-Kissimmee-Sanford Metropolitan Area and is synonymous with Disney World of course. With a population of over two and a half million people, it is much more than just a tourist attraction. Along with Disney’s Magic Kingdom, International Drive, Universal Studios and Sea World are the Central Florida colleges and universities (UCF being the 2nd largest university in the nation with over 64,000 students), the rich cultural environment (the new Dr. Phillips Center being a great example) and the major sport teams (the Orlando Magic and Orlando City Soccer) that make Orlando such a vibrant city to live in. When referencing employment opportunities and pharmacy technician jobs in the Orlando and the Central Florida area, included are cities such as Kissimmee, Sanford, Winter Park, Lake Mary, Altamonte Springs, Maitland and Lakeland. Yet the Orlando area also includes numerous additional smaller cities like Heathrow, Taft, Apopka, Windermere, Winter Garden, Ocooe, Mount Dora, Oviedo, Longwood, Pine Castle and Eatonville to name just a few. In all of these cities exist opportunities and jobs for qualified licensed and certified Registered Pharmacy Technicians and CPhT’s. There are estimated to be over 4,500 jobs in the Orlando and Central Florida area for pharmacy technicians. These technician positions exist in all types of pharmacy settings. This includes the traditional independent retail community pharmacies and retail chain pharmacies, as well as institutions, clinics, hospital pharmacies and specialty pharmacies (such as compounding pharmacies, IV infusion pharmacies and mail-order pharmacy businesses). Jobs for registered pharmacy technicians are also commonly found in the Orlando area working for medical software development firms, pharmaceutical manufacturers and insurance companies. For complete information regarding becoming a registered pharmacy technician in Florida and a description of job tasks performed, please click here. Are you a Registered Pharmacy Tech looking for a new opportunity in the Orlando or Central Florida area? 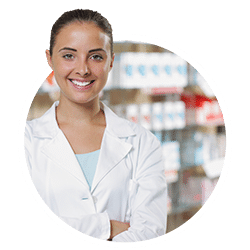 HealthCare Consultants Pharmacy Staffing is a nationally renowned pharmacy staffing company that has been a leader in matching qualified pharmacy technician candidates in Florida to the right job and employer for over 27 years. Headquartered in Central Florida, HCC has an in-house team of trained consultants that can help assist registered technicians to find a job that matches their skills and experience, plus fits their lifestyle and needs. HCC can place pharmacy technicians in a variety of positions throughout Central Florida, including current pharmacy technician job openings in the Orlando area. Call us now at (800) 642-1652 or click here to let us know your availability and we’ll get right back to you to discuss which job opportunities best match your skills and needs.